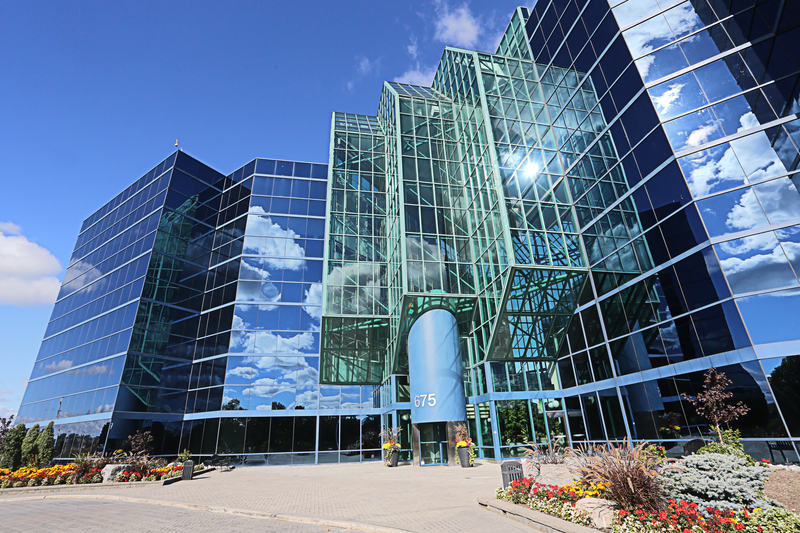 TORONTO, ON--(Marketwired - April 02, 2015) - Crown Realty Partners ("Crown") announced today that it has acquired a 465,306 square foot portfolio located at 575, 600 and 675 Cochrane Drive, in Markham, Ontario on behalf of its fund, Crown Realty III Limited Partnership ("CR III LP"). Located at the southeast intersection of Highways 404 and 7, this portfolio consists of two office assets on just over 15 acres of land. 675 Cochrane Drive is the only AAA office complex in Markham, consisting of 365,145 square feet of space within three office towers that are connected by an expansive atrium. 600 Cochrane Drive, located directly across the street from 675 Cochrane, is a newer Class A office building consisting of 100,161 square feet. 575 Cochrane Drive is a highly visible parcel of 3.41 acres of commercially-zoned land, fronting on Highway 404. The portfolio offers office tenants a corporate campus environment in Central Markham and unparalleled access to major highways. On-site amenities set the buildings apart, as does the expansive underground parking facility located at 675 Cochrane that features hybrid car charging stations and 954 parking stalls. Emily Hanna, Partner, Investments of Crown Realty Partners, commented, "The City of Markham is one of the fastest growing municipalities in Ontario. With their prominent location in Central Markham, these assets fit well with our focus on investing in vibrant, transit-oriented communities." As of this date, Crown has over $1 billion of assets under management across the Greater Toronto Area and CR III LP has a remaining $80 million of equity to invest in office assets. Founded in 2001, Crown Realty Partners acquires, manages and develops commercial real estate assets in Canada. Through its wholly owned subsidiary, Crown Property Management Inc., Crown applies a hands-on approach to real estate management that delivers both higher performance for our clients and a better experience for our tenants. Crown has acquired and managed over seven million square feet of office space totaling over $2 billion in transactions and consistently delivers above market returns. For more information, visit www.crownrealtypartners.com. Crown Realty Partners ("Crown") announced today that it has acquired a 465,306 square foot portfolio located at 575, 600 and 675 Cochrane Drive, in Markham, Ontario on behalf of its fund, Crown Realty III Limited Partnership ("CR III LP").